You can look 10 years younger with permanent makeup. You are invited to call in for a free phone consultation. We are happy to answer all your questions and concerns regarding permanent makeup. You may chose to meet with Esther for your personal consultation. Our extensive client base includes women and men from 18 to 87 years of age, from all walks of life, including celebrities, models , business women and men, socialites, mothers and homemakers. Our goal is to provide superior permanent makeup, individualized attention, and fabulous permanent cosmetic results. Esther, is a licensed aesthetician & permanent makeup artist. 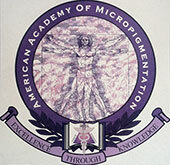 Board certified by AAM American Academy of Micropigmentation). Is a lifetime member of SPCP (Society of Permanent Cosmetic Professionals) and a member of NCEA (National Coalition of Esthetics Association). Esther’s background includes the study of Psychofigurism – The study of the facial bone structure, facial symmetry, facial features and how they relate appearance. The many unique (and regular) courses Esther studied along with her artistic talent make Esther one of the world’s best permanent makeup tattoo artists. Esther has the unique ability to customize shapes of brows, eyes and lips for every client. Esther has worked in Europe, Canada and the United States. She has had extensive training in makeup application and permanent makeup artistry. Esther is one of the most sought after artists by both Breast Cancer Survivors for post mastectomy aureole pigmentation and 3 dimensional areolas. She is well known among Alopecia patients for permanent eyebrow and permanent eyeliner simulation. Esther’s work takes her from Mount Sinai Hospital in Miami, Florida to the JGH in Montreal Canada. Because of her vast experience and training in the beauty industry, she writes columns on “Beauty Tips and Tricks” for national magazines. She receives many requests to speak to women’ s groups and donates much of her time and talents to helping those who are less fortunate. An Alopecia patient called Esther several weeks after receiving his new permanent brows. He was very excited and they spoke for about 45 minutes. At the end of the conversation Esther said “Thank you so much for calling, you truly made my day.” “No no” replied the patient “THANK YOU! THANK YOU FOR CHANGING MY LIFE, I FINALLY HAVE A FACE AND CAN EXPRESS MYSELF WITHOUT SPEAKING.” It is statements like this that make Esther work harder every day at perfecting her artistic techniques.